Windows To Go Upgrader is a software which can help you to upgrade your Windows To Go Workspace from lower version to higher version, even if the Windows To Go drive is encrypted by using BitLocker Drive Encryption. With this software, you can easily upgrade Windows 8.0 To Go to Windows 8.1 To Go, Windows 8.x To Go to Windows 10 To Go, or even upgrade Windows 10 To Go (lower build number) to Windows 10 To Go (higher build number). • Easily upgrade Windows 8.0 To Go to Windows 8.1 To Go, Windows 8.x To Go to Windows 10 To Go, Windows 10 To Go to Windows 10 To Go. • Upgrade Windows To Go encrypted by BitLocker Drive Encryption. • Upgrade Legacy and VHD/VHDX based Windows To Go Workspace. • Check whether a Windows To Go drive can be upgraded before you buy. 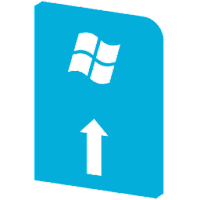 • Support for upgrading Windows 10 To Go to Windows 10 1809.